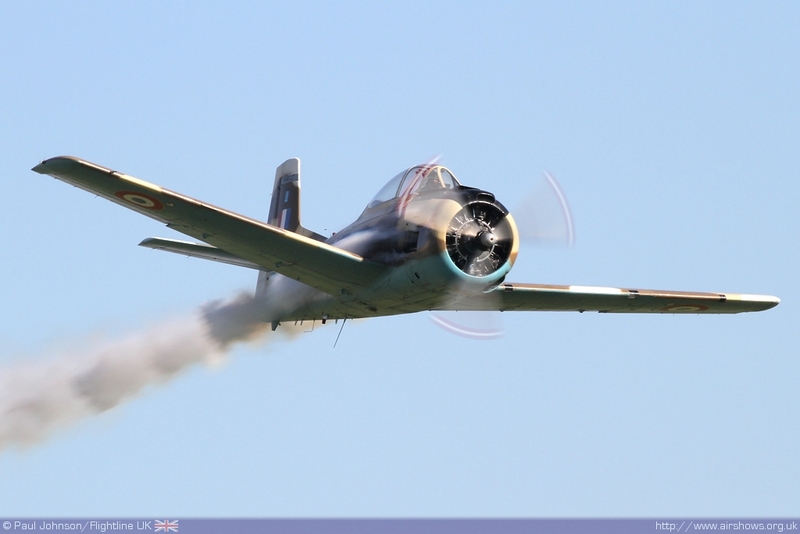 The Duxford Autumn Airshow is the last major air display of the season. 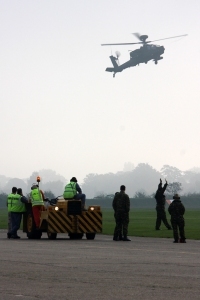 The last couple of years have seen days dominated by early weather with 2008 being a near wash out while 2009 saw ever improving conditions following a poor start. 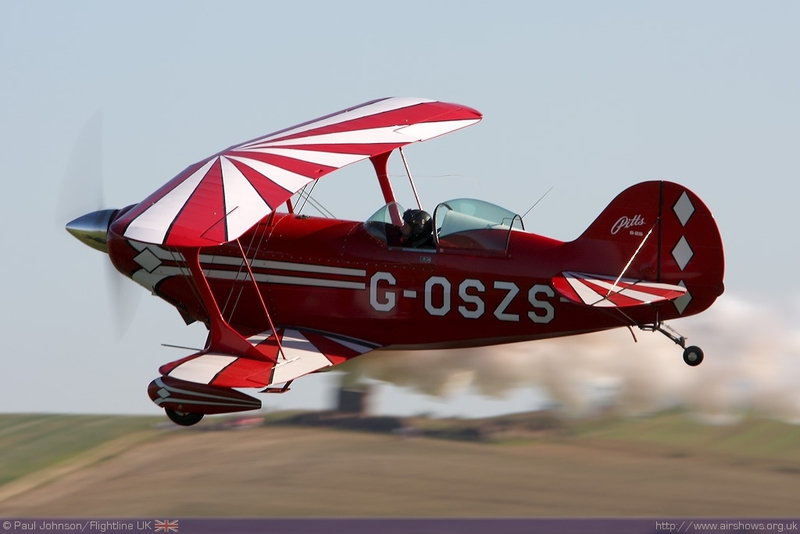 2010 was the total opposite with a warm autumn day with gin clear blue skies over Cambridgeshire. 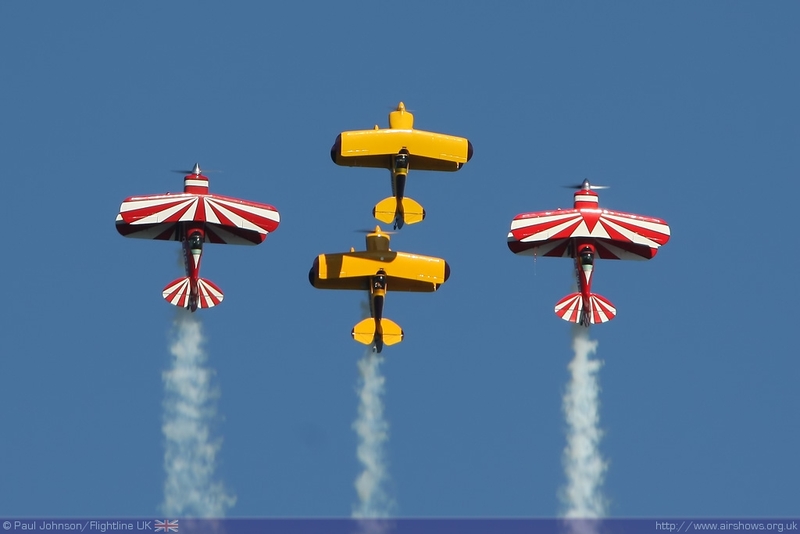 This year’s show was about important airshow acts and performers, past and present. 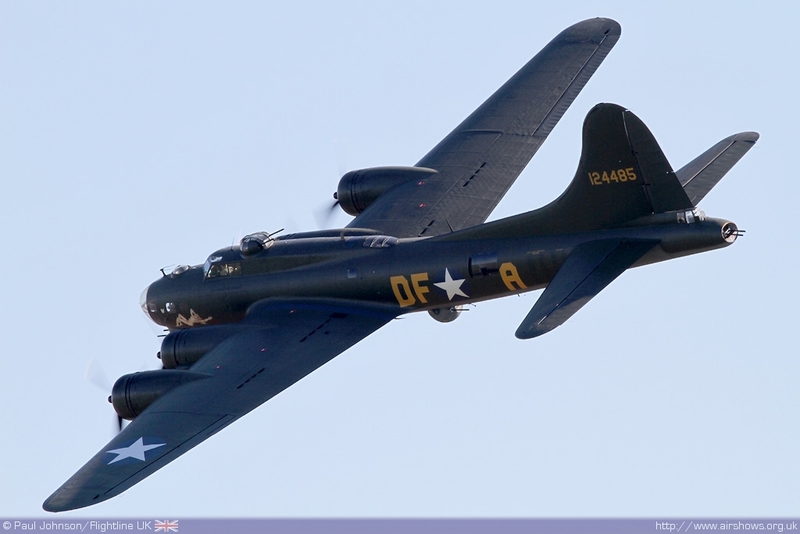 The main theme was the 65th Anniversary of Sally-B, an anniversary that also marks the 75 years of the B-17 design and the 35th anniversary of Sally-B joining the airshow circuit. 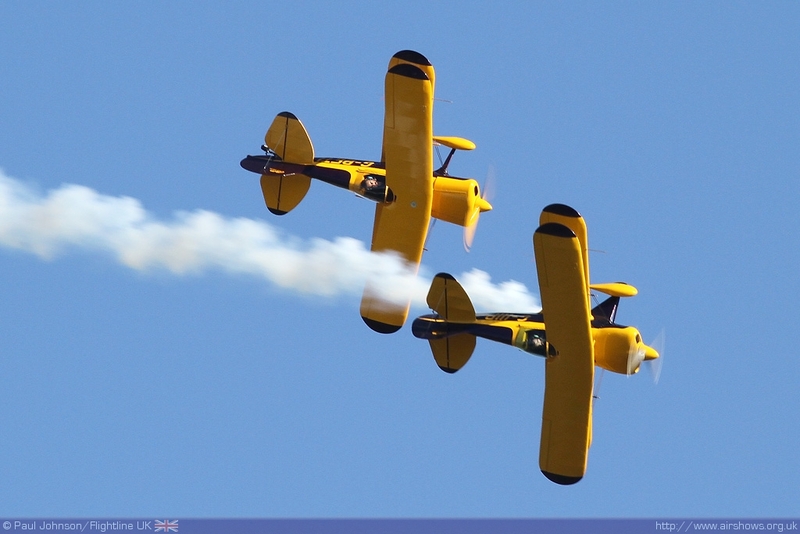 The show also paid tribute to the legendary Rothmans Display Team that flew four Pitts Specials which was established in 1970. 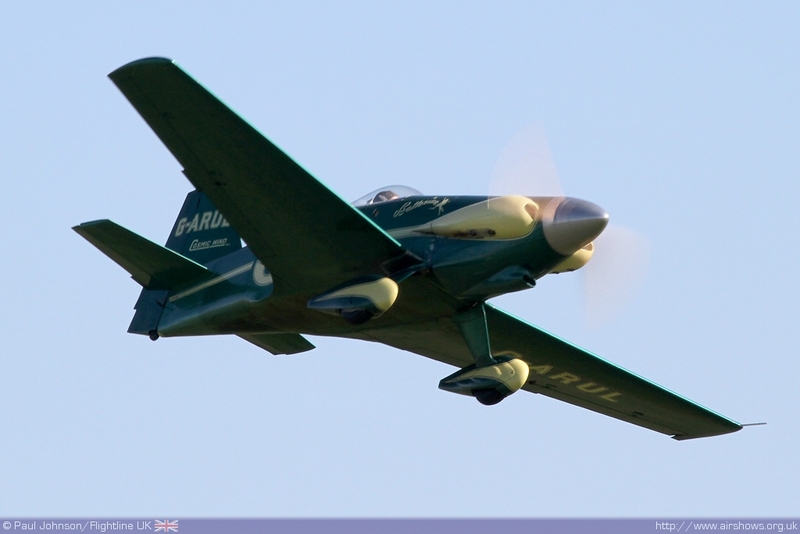 The tribute included displays by Pitts Specials as well as other prolific types displayed around the same time. 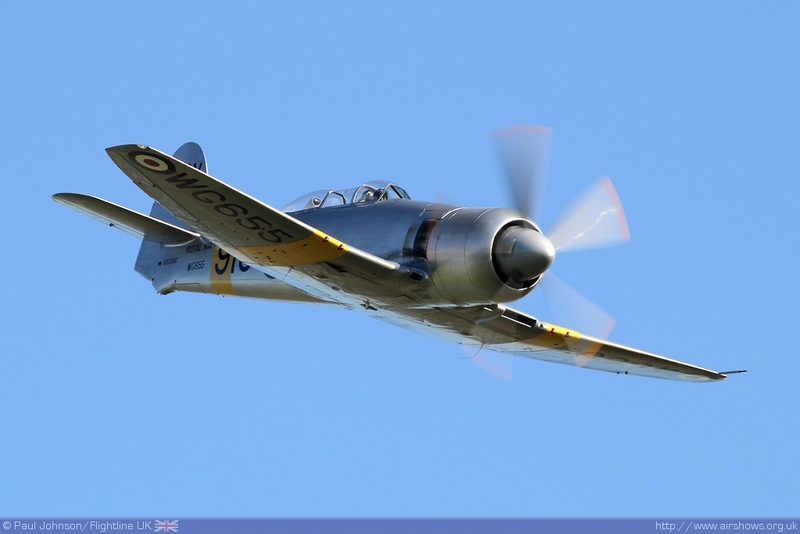 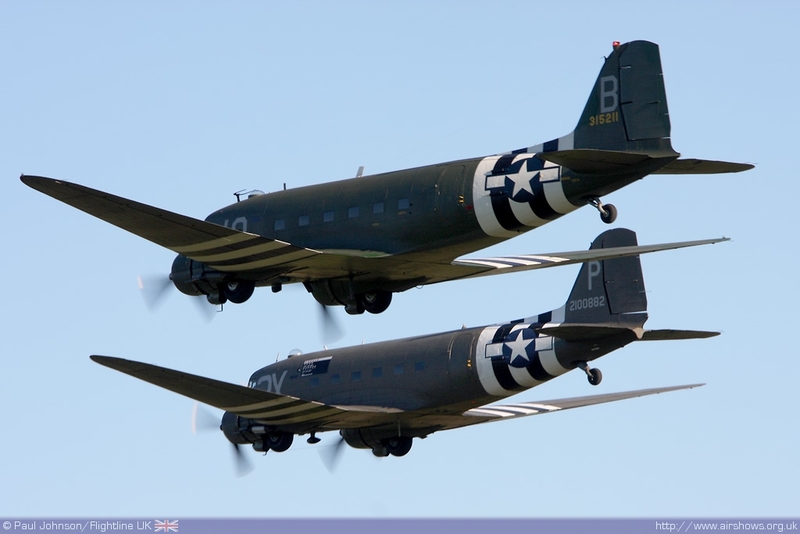 Paul Johnson/Flightline UK reports from a surprisingly warm Duxford. 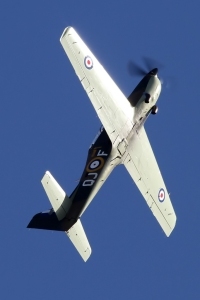 All photography copyright of the Author. 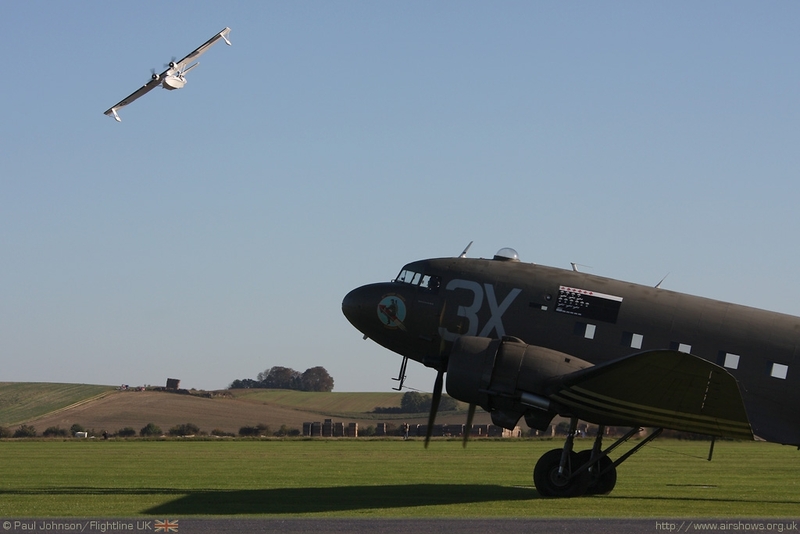 Duxford, purely on a climatic level, is usually a cold place in October. 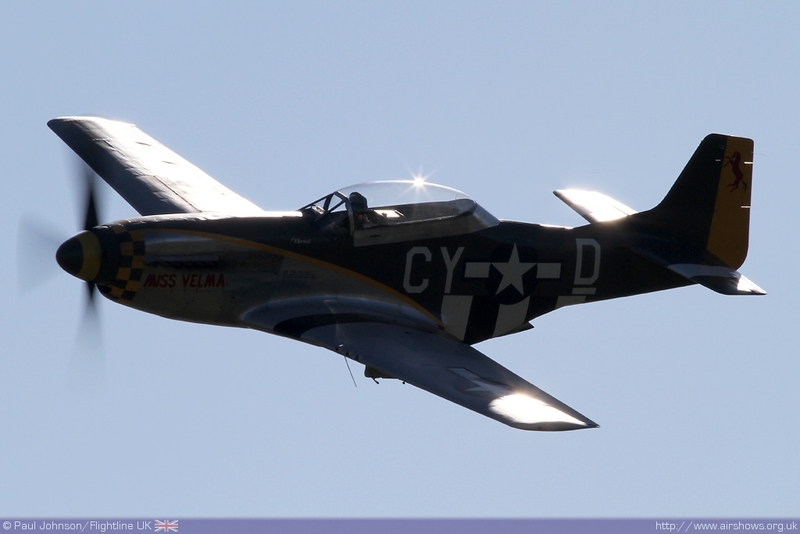 It was therefore a welcome surprise to have such a warm sunny day grace the final airshow of the year in the UK. 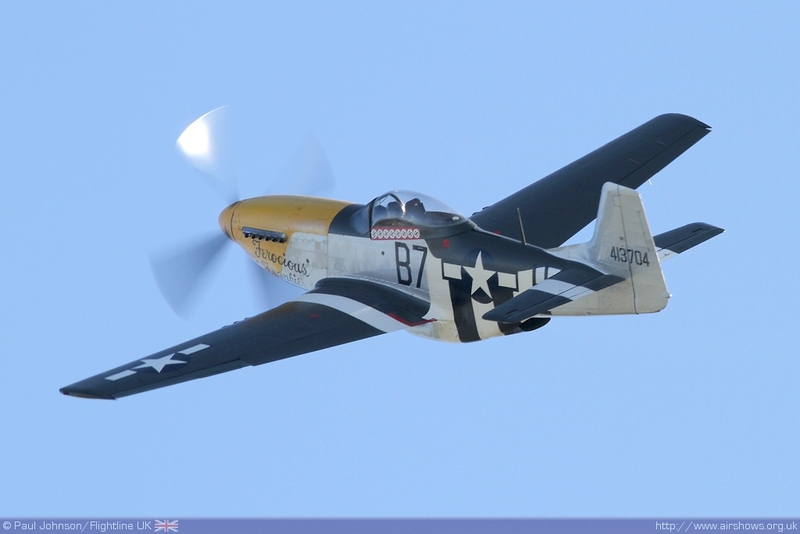 It was a welcome boost to a Duxford show that boasted a very different, but high quality line-up featuring some of the best characters from the airshow industry. 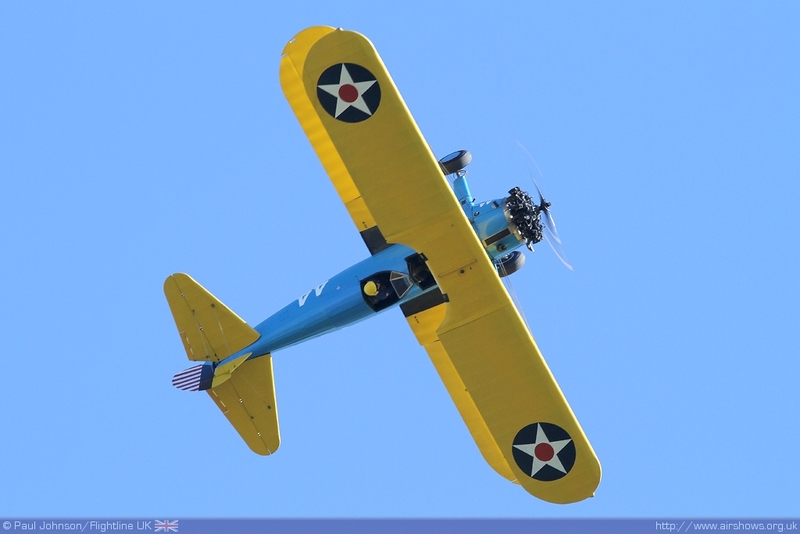 The Sally-B celebrations brought out a very American slant of the flying display as well as a collection of some of the most iconic display types and acts. 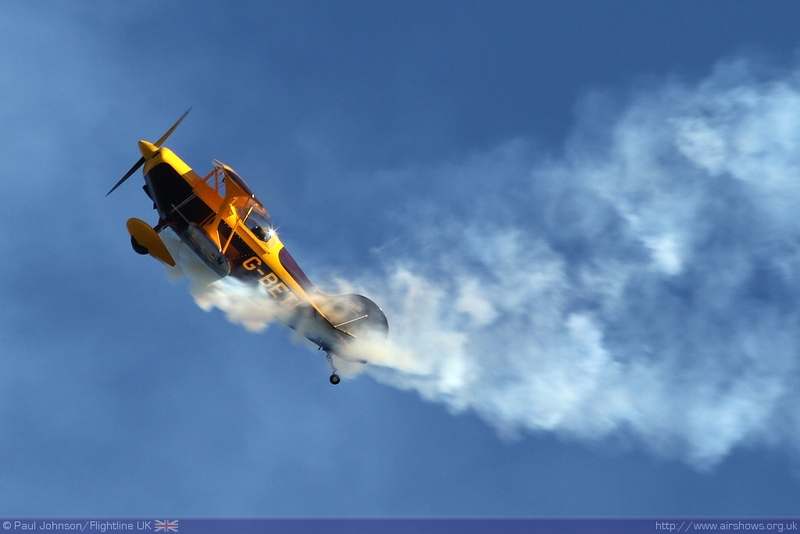 As seems to be traditional for an Autumn Air Show, that early morning was very misty. 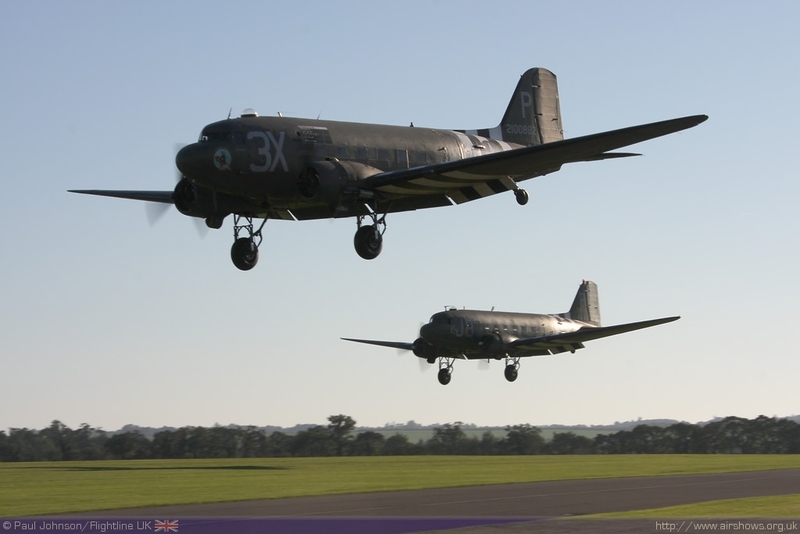 The low clouds and mist clearly from the North-west which did cause a few problems for the displays to the South-West of Duxford; the mist delayed the Redhawk Duo and forced the cancellation of Aces High's Dunsfold based C-47 Skytrain. 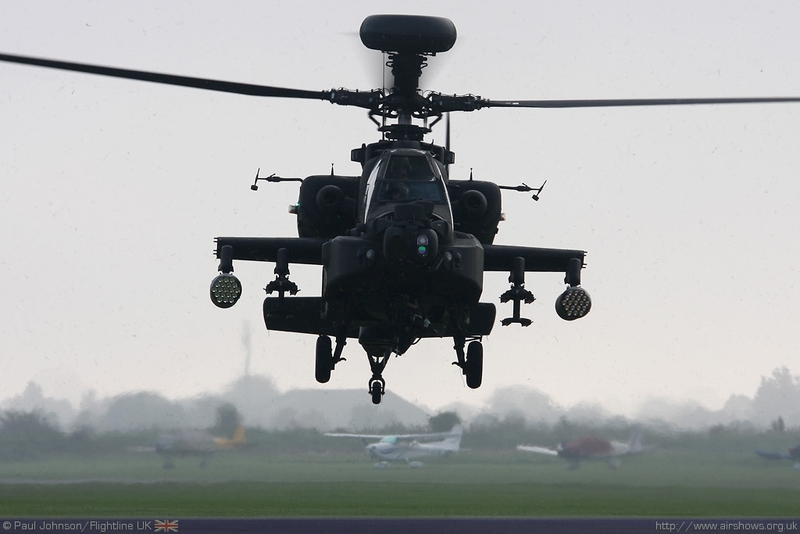 It did however make the arrival of the Wattisham based WAH-64D Apache all the more dramatic! 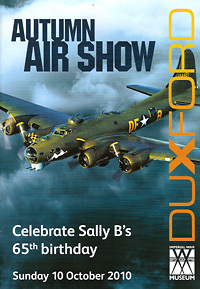 B-17G Flying Fortress Sally-B was the main focus for the day appearing on all the show's publicity material in the lead up to the event. 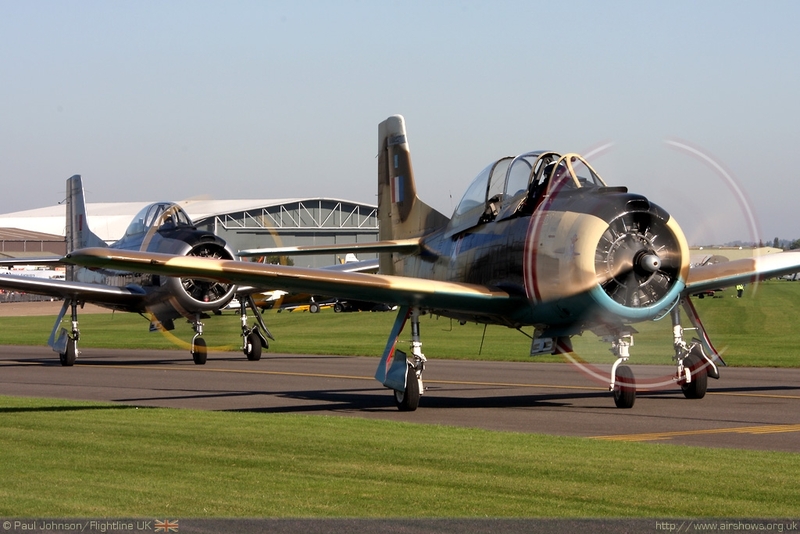 Sally-B joined the airshow circuit in 1975 having been purchased from the French Institut Geographique National (IGN) by Eurowold Ltd which was founded by Ted White and Don Bullock. 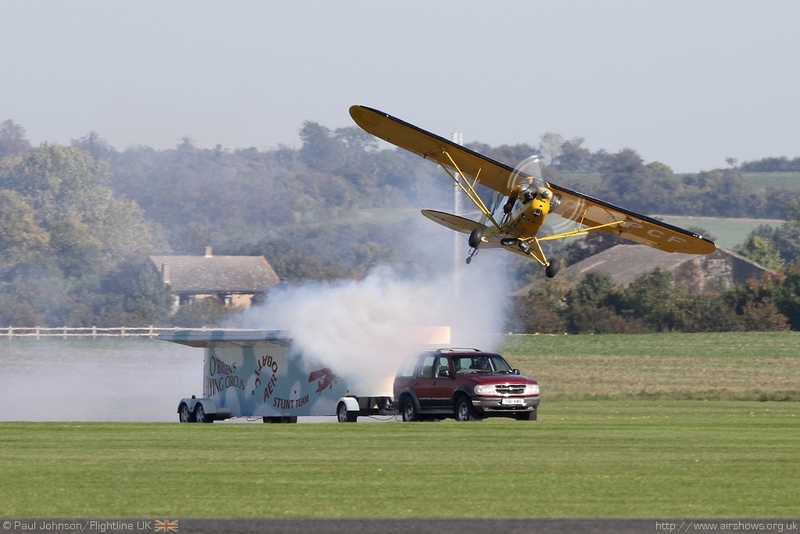 The following 35 years have been marked by highs and lows. 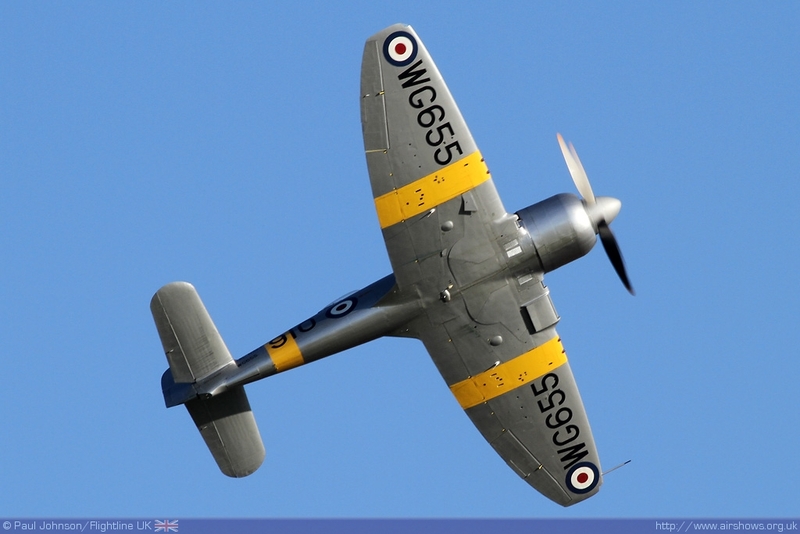 The highs have been the tremendous Great Warbirds Air Displays at West Malling and Wroughton airfields which were held to support the aircraft. 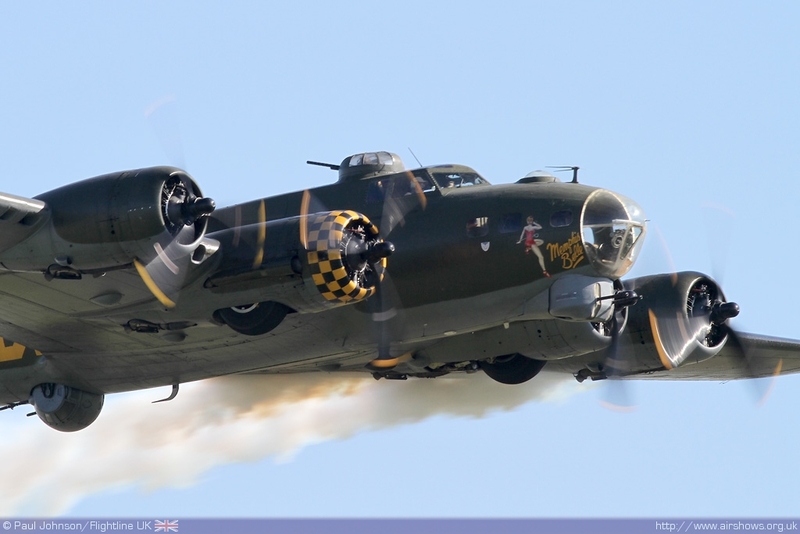 The lows have been some really difficult struggles against engine problems which drained the funds of B-17 Preservation and the Supporters Club. 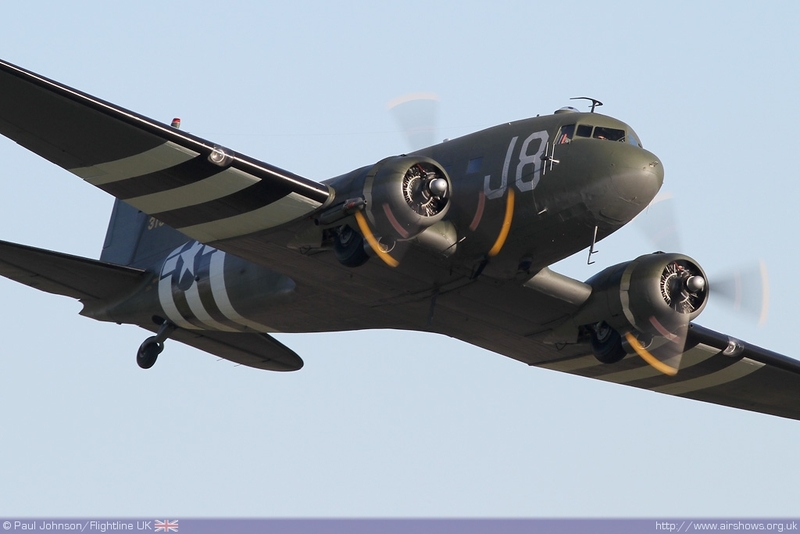 However, the strong support the aircraft receives has meant she has survived and we can still enjoy the sight and sound of the only airworthy B-17 in the UK and Europe to this day. 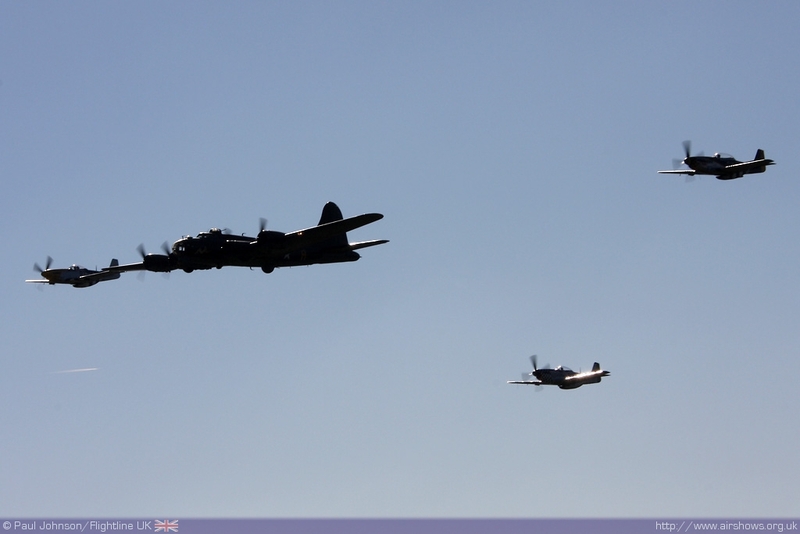 The show opened with the tribute to the Sally-B with a very special flypast featuring the B-17 alongside three P-51D Mustangs - OFMC's P-51D Ferocious Frankie, TFC's TF-51D Miss Velma and Rob Davies' P-51D Big Beautiful Doll. 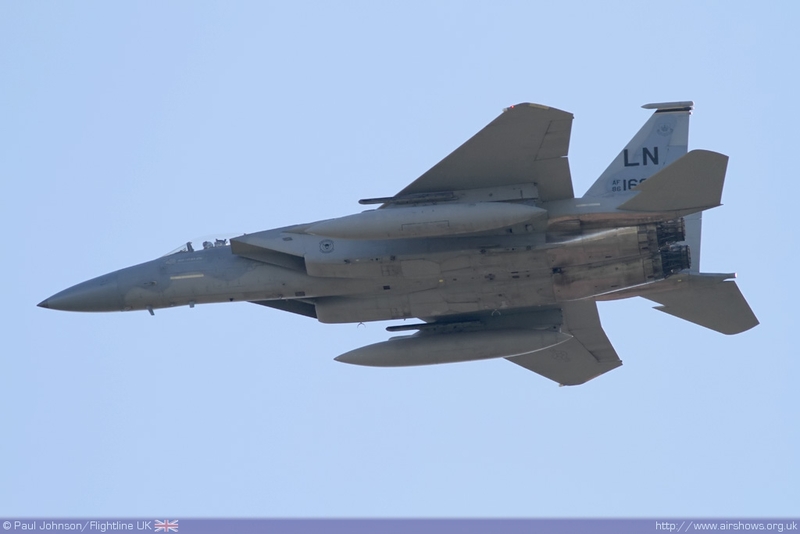 Following the warbirds were two current Unites States Air Force fighters, a pair of F-15C Eagles from the 48th Fighter Wing based at RAF Lakenheath. 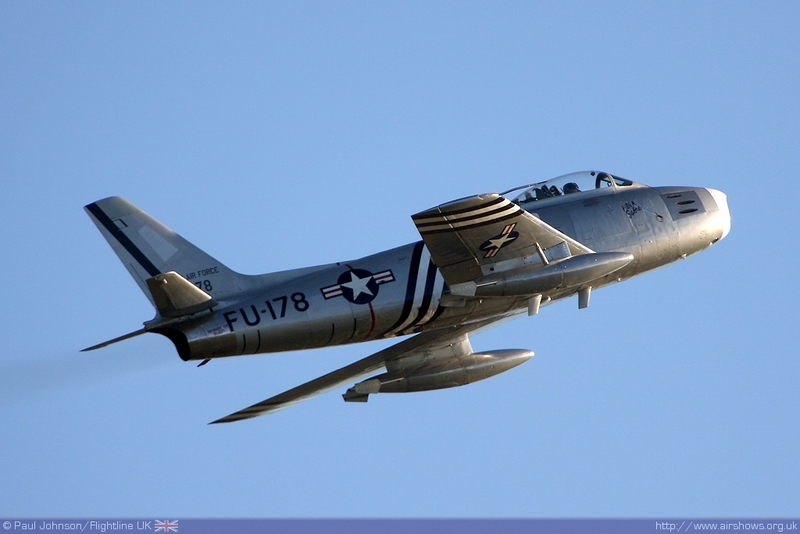 While the initial warbird segment was impressive, the F-15s were less so being a long way behind the lead formation and quite high and distant which seems to be a running theme with current USAF flypasts. 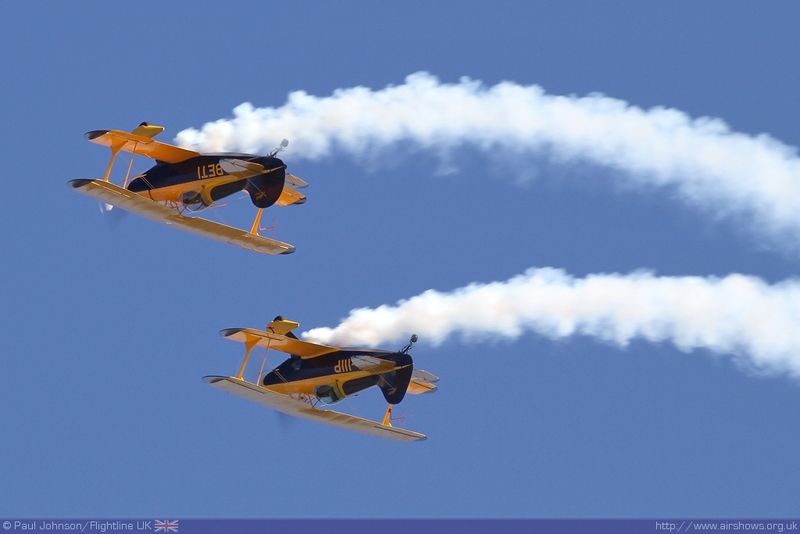 We want to see them at airshows, but is it too much to ask for them to be presented slightly lower and with a touch more impact? 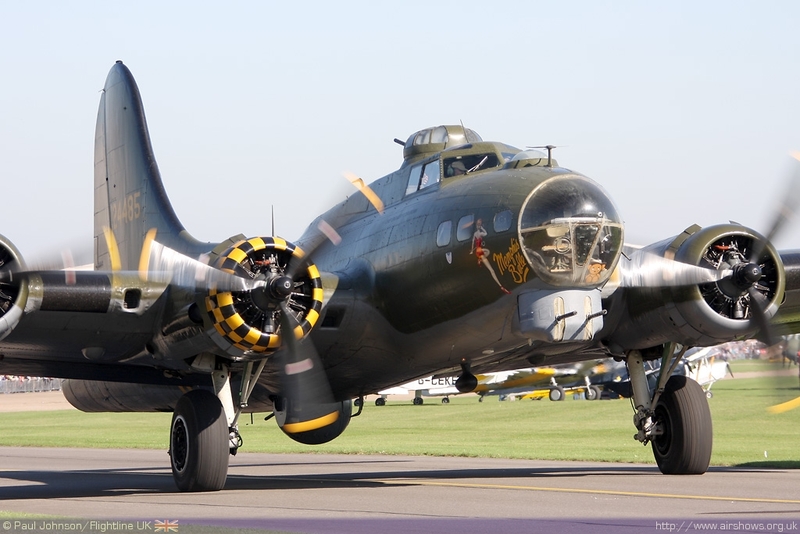 There was also plenty of other American machinery on display in support of Sally-B. 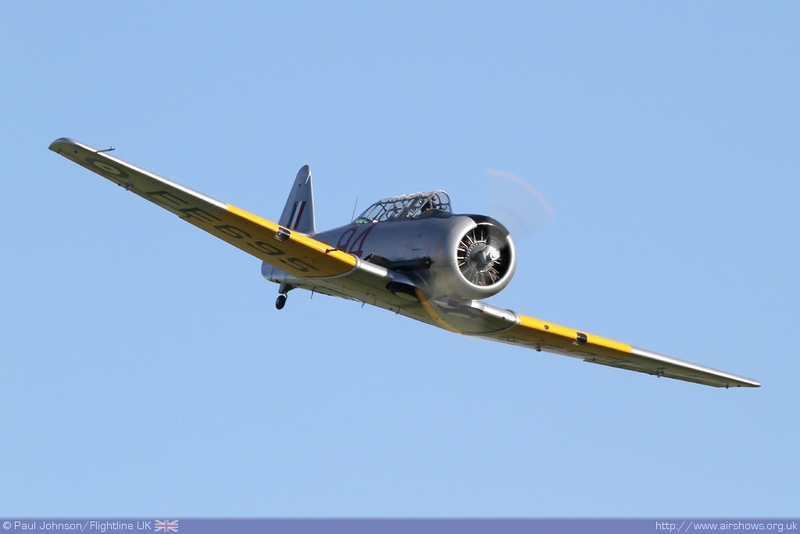 The varied collection included a number of American trainers including Golden Apple's Boeing PT-17 Stearman flown by Mike Dentith and Anna Walker in The Fighter Collection's North American Harvard which flew solo following engine problems in ARCo's T-6. 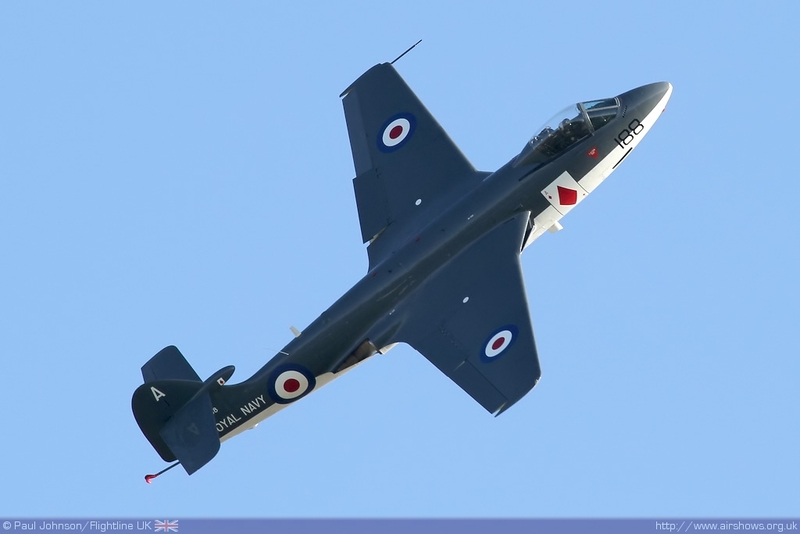 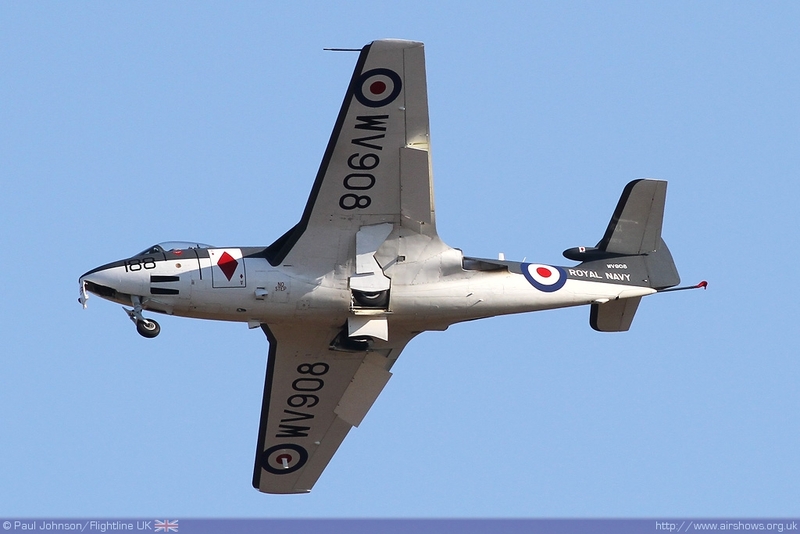 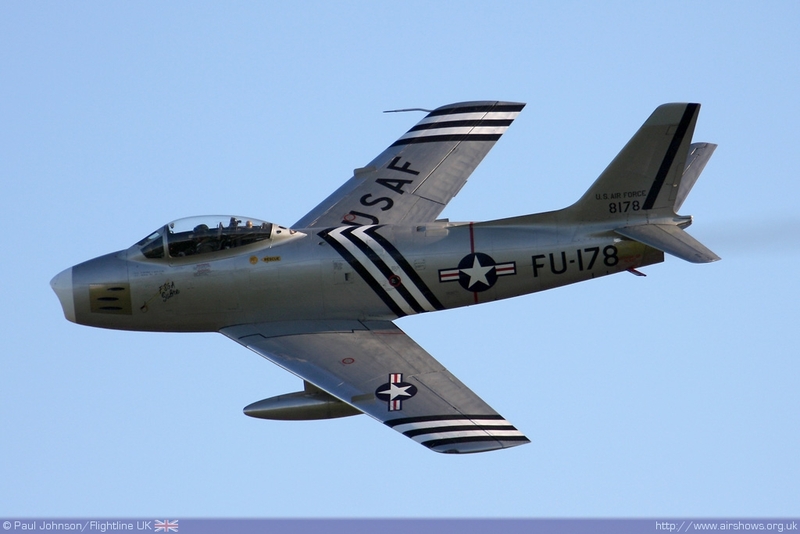 The T-6's successor was also in evidence with the apir of Radial Revelation's and ARCo's T-28S Fennecs flown by Martin Willing and Dave Southwood. 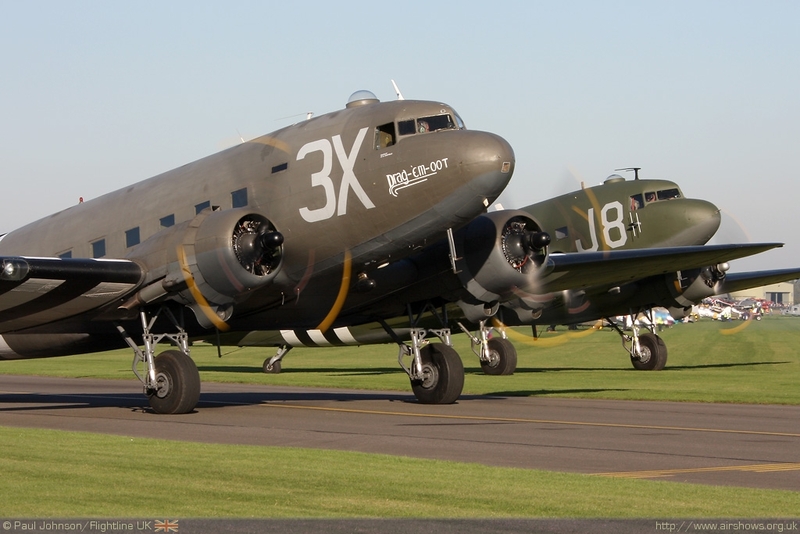 Jeanne Frazer's L4 Grasshopper represented the lighter side of American military aviation during the Second World War but perhaps the star display of the day was that given by the duo of DC-3/C-47 Skytrains from Dakota Heritage and Wings Venture. 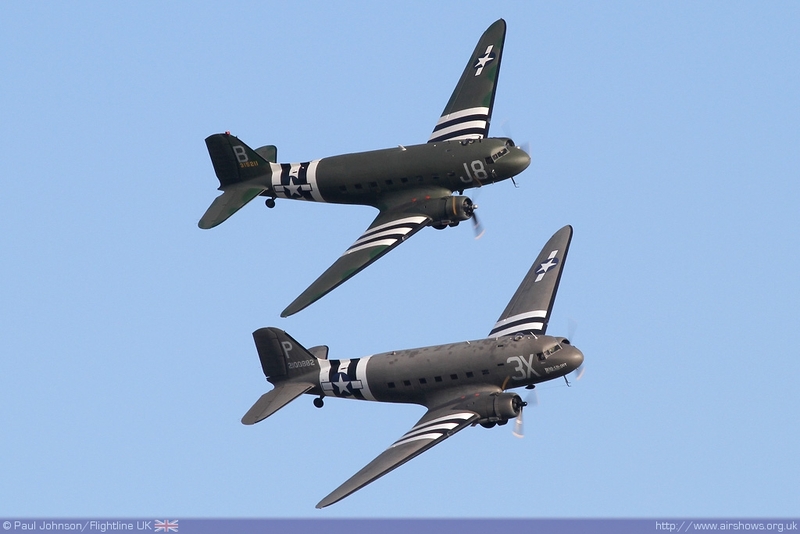 Both aircraft themselves of veterans from the Second World War having taken part in some of the most important operations in Northern Europe. 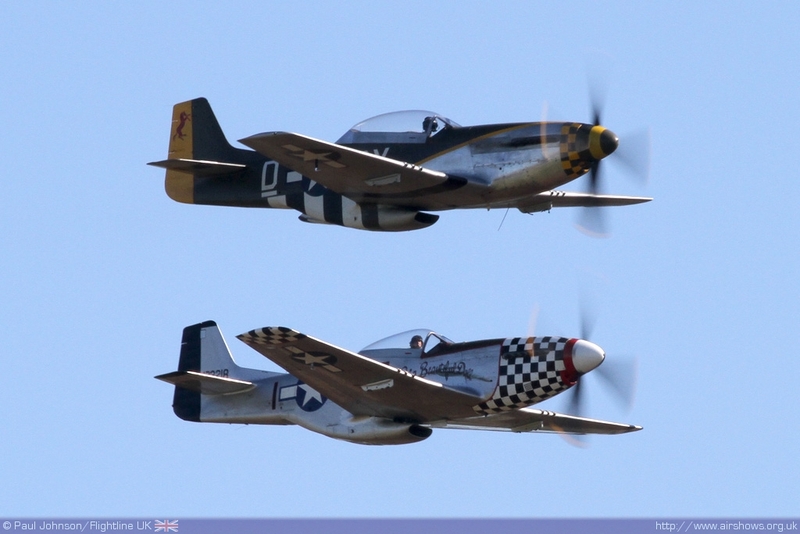 Their close formation display though was truly remarkable and even culminated with a formation landing by these "heavies!" 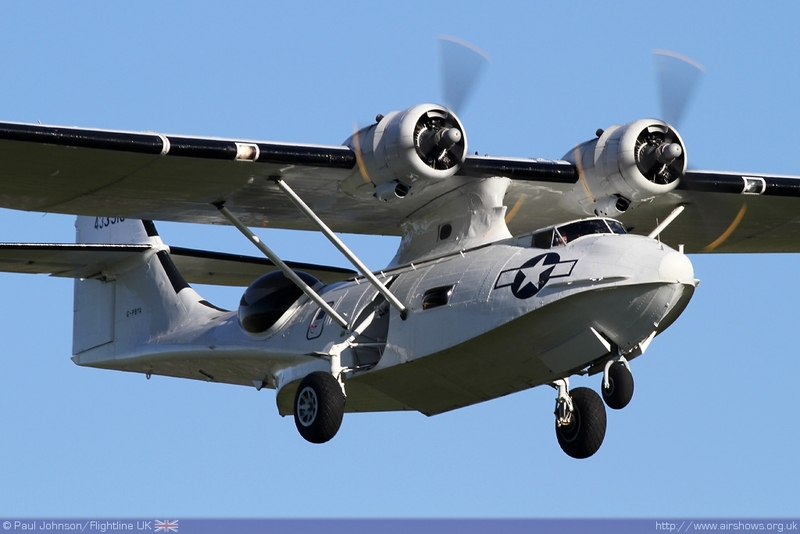 A further American "heavy" in the display was the Consolidated PBY-5A Catalina which looked stunning set against the clear blue skies. 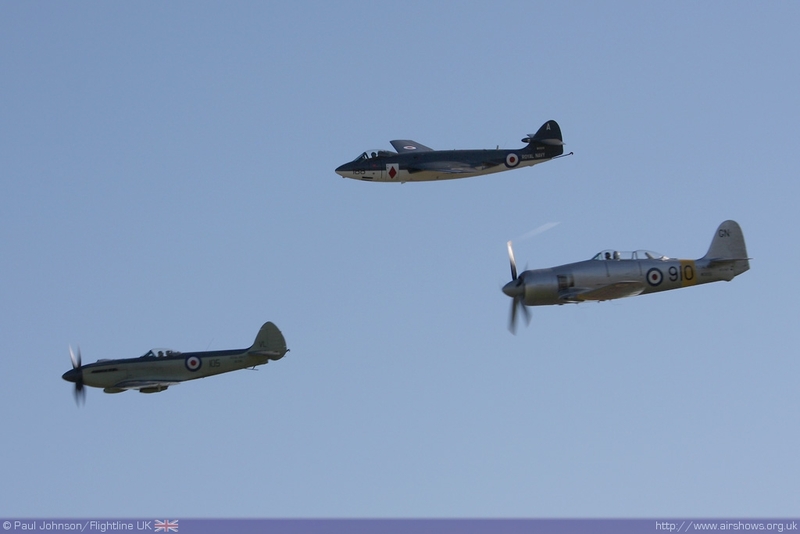 Rounding off the flying display were aircraft of a similar generation, but totally different in terms of power-plant. 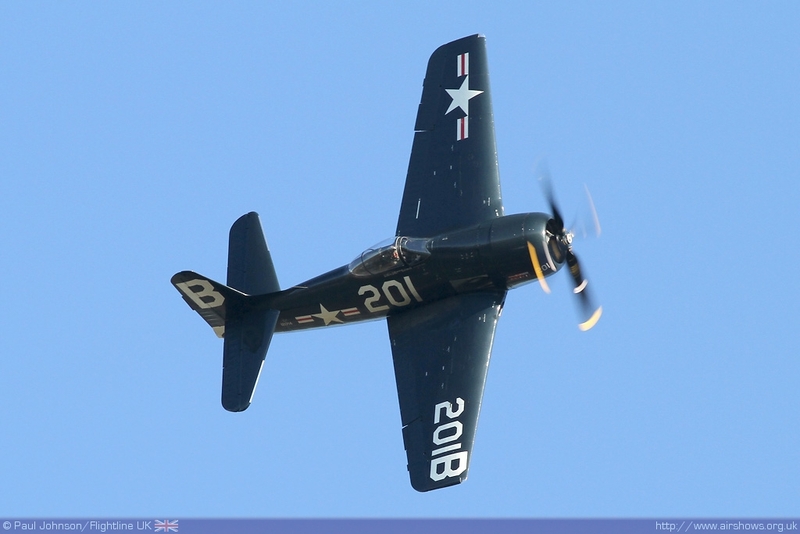 The Fighter Collection's F-8F Bearcat flown by Stu Goldspink represent the ultimate American piston engined fighter is service with the US Navy while Golden Apple's stunning F-86A Sabre piloted by Mark Linney is one of america's first generation of jet fighters. 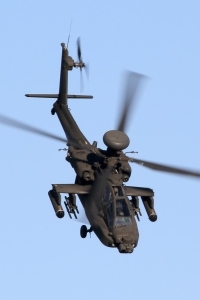 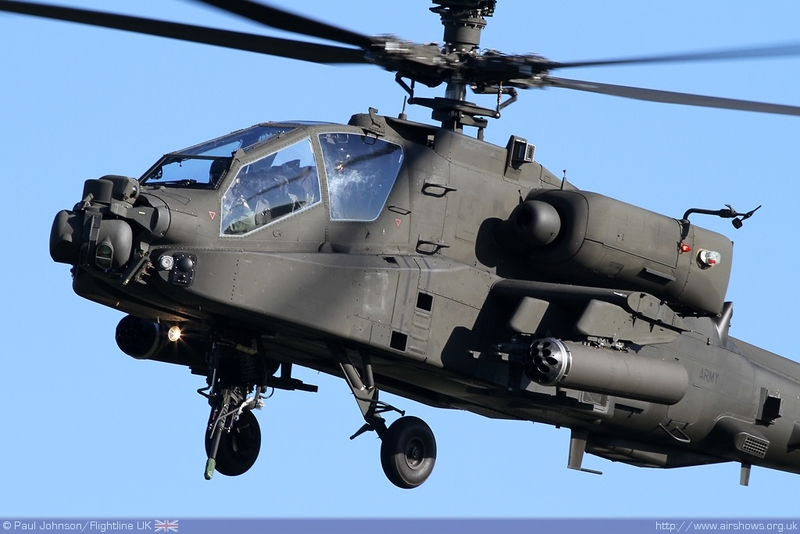 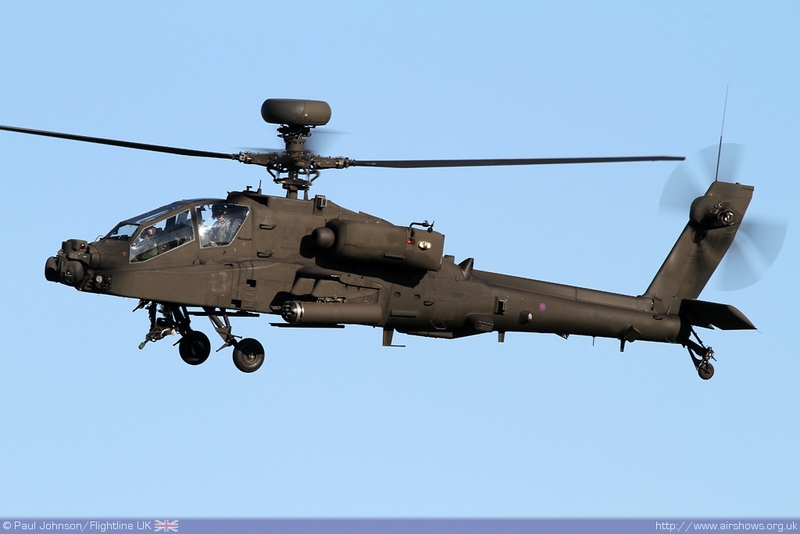 Although operated by the British Army, the WAH-64D Apache AH1 was another modern military participant in the "American" theme. 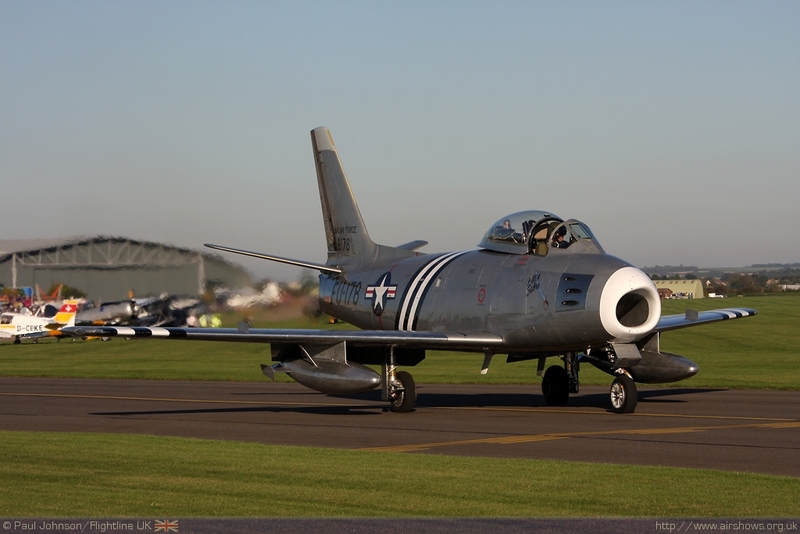 Duxford was the only public outing for the type this year in a UK flying display so it was a quite a coup for the Autumn Airshow. 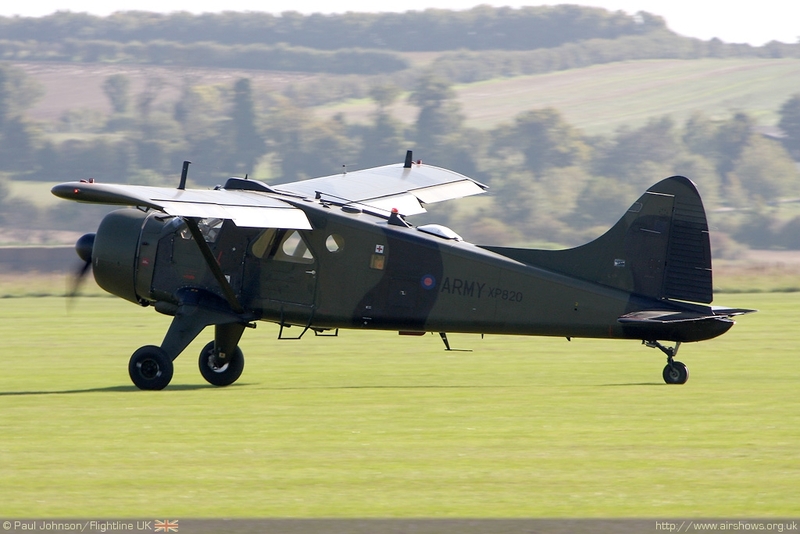 The aircraft came from nearby Wattisham and gave a limited display of the types capabilities ably supported with commentary from George Bacon who flew in especially in the Historic Aircraft Flights DHC Beaver. 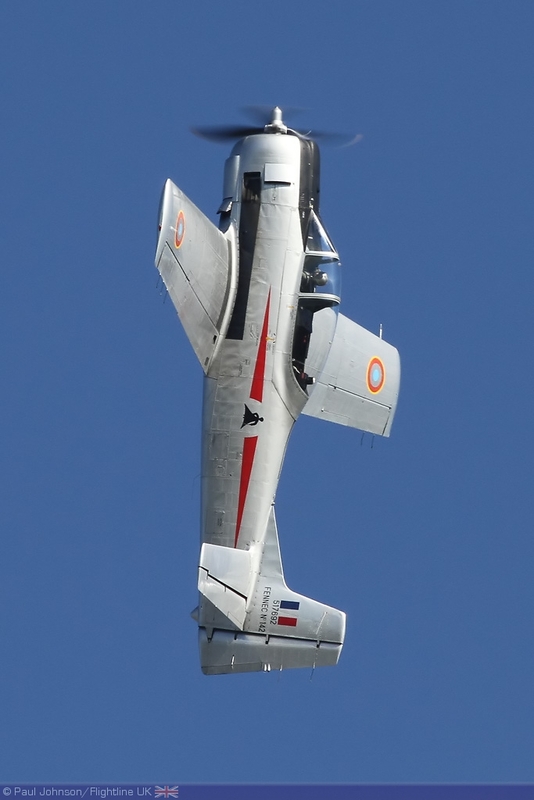 As well as the military might, thy tiny LeVier Cosmic Wind flown by Pete Kynsey was the sole civilian American aircraft taking part. 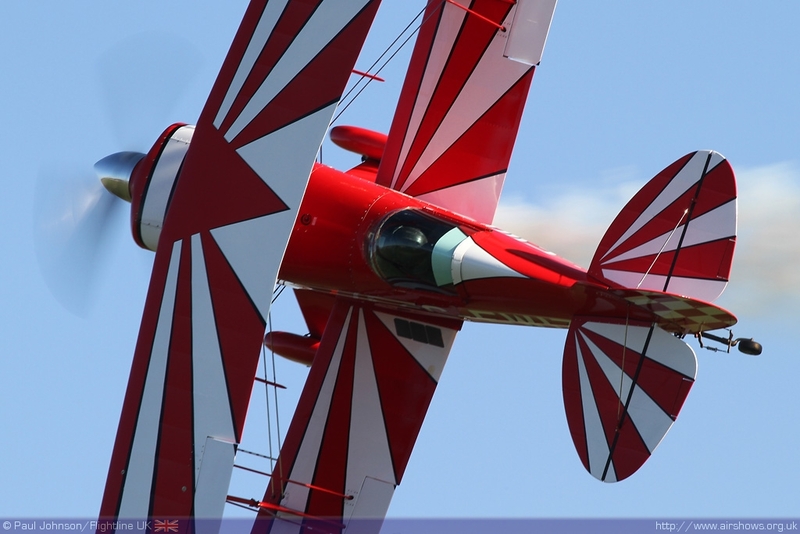 Originally built for Formula 1 Air Racing, the aircraft went on to prove a capable aerobatic machine, and was even used by the great Neil Williams in the World Aerobatic Championships which links us nicely to the other main "theme" of the day. 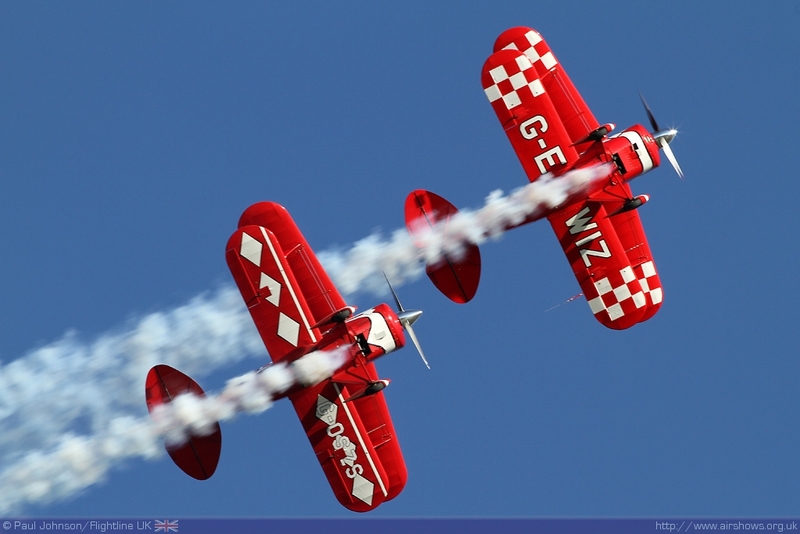 One of the most outstanding names in display flying ever has been the Rothmans Aerobatic Display Team. 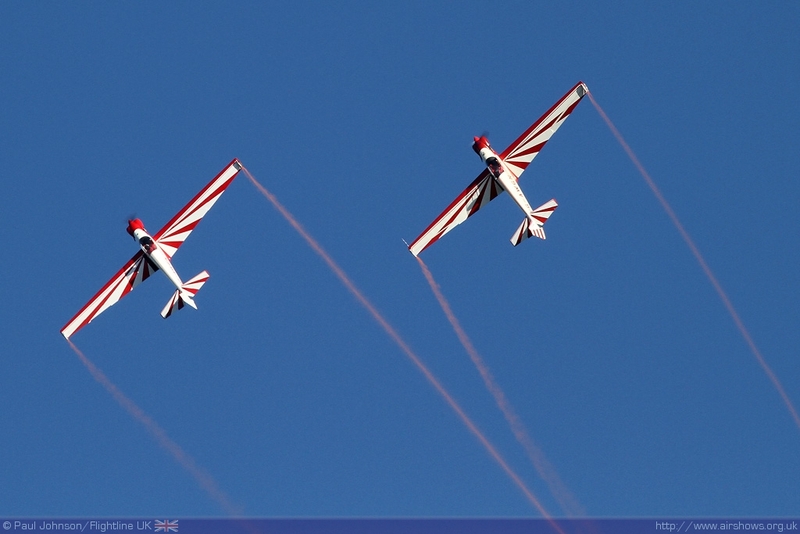 Flying four Pitts S-1 Specials, the team were the first ever full-time professional civilian aerobatic team. As well as display throughout the UK, the team regularly toured Europe and even made trip to far-flung parts of the globe. 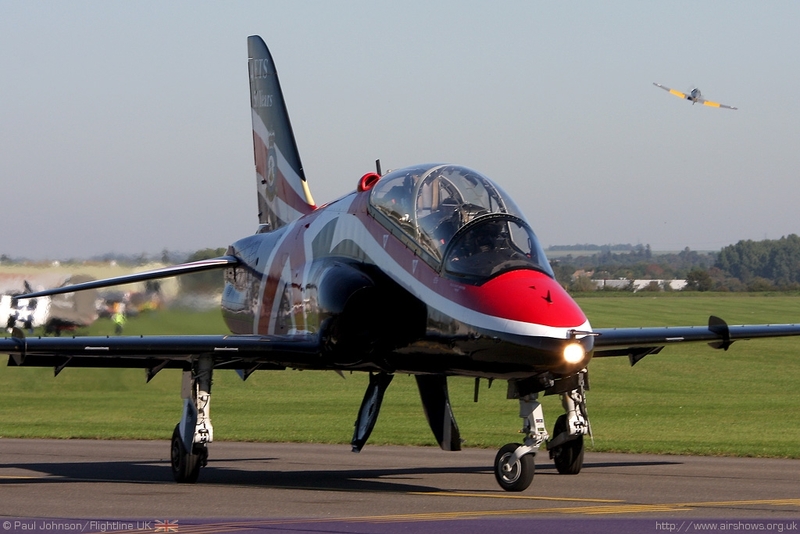 The team featured legendary names such as Neil Williams, Manx Kelly and Dave Perrin and displayed from 1970 until well into the 1980s. The centre-piece to the tribute was a unique four-ship of Pitts Specials from two of the newest display teams on the circuit, the Pitts Pair and the GEE WIZZ Pitts S2S Duo. 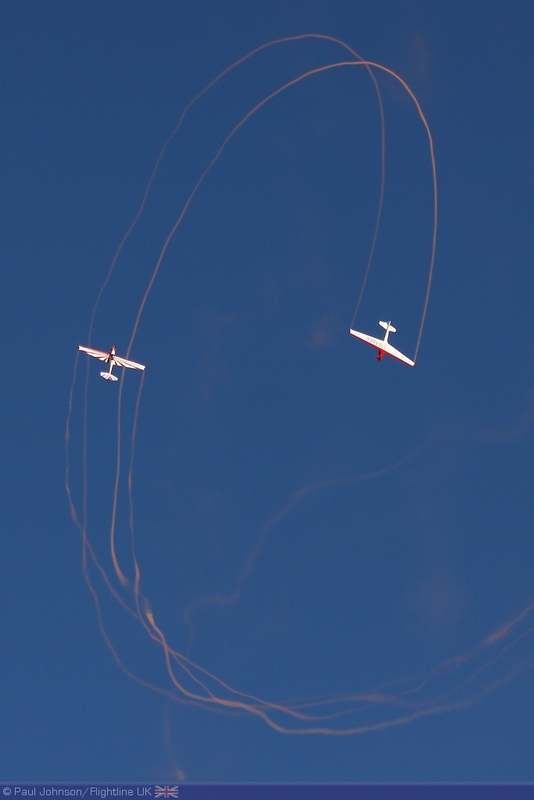 The four-ship even managed to perform some loops before spitting into their respective duo displays which is no mean feat considering the size and weight difference as well as the engine power of the two different types of Pitts Special used in the tribute. 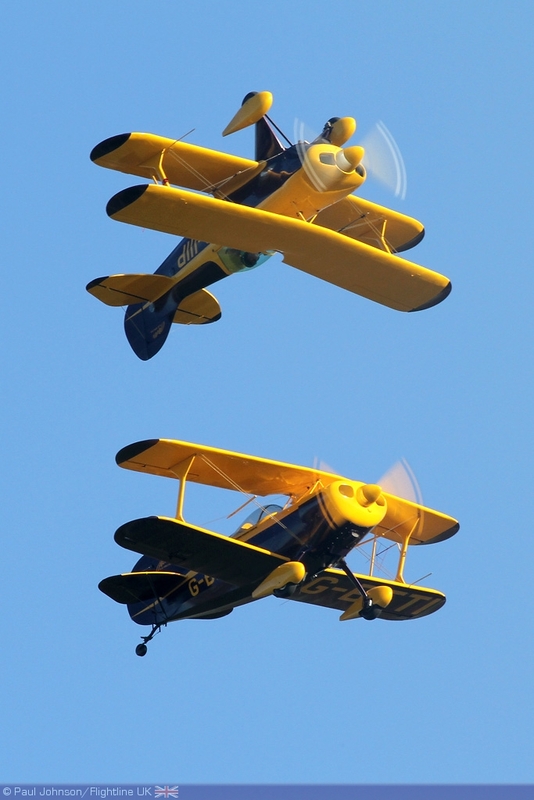 The Pitts Pair of Richard Grace and Dave Pulleston fly the smaller S-1D with just about 160hp and performed a wonderful display of formation and solo aerobatic. 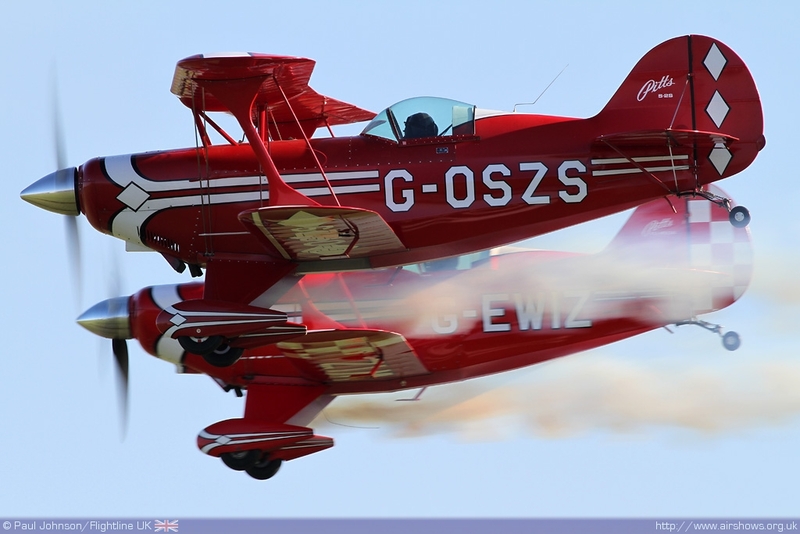 The GEE WIZZ Duo features OFMC pilot Alistair Kay and Red Bull racer Steve Jones in the much larger Pitts S2S that has a 260hp and both wear a classic Pitts Special sunburst scheme which looked great during their close formation and synchronised routine. 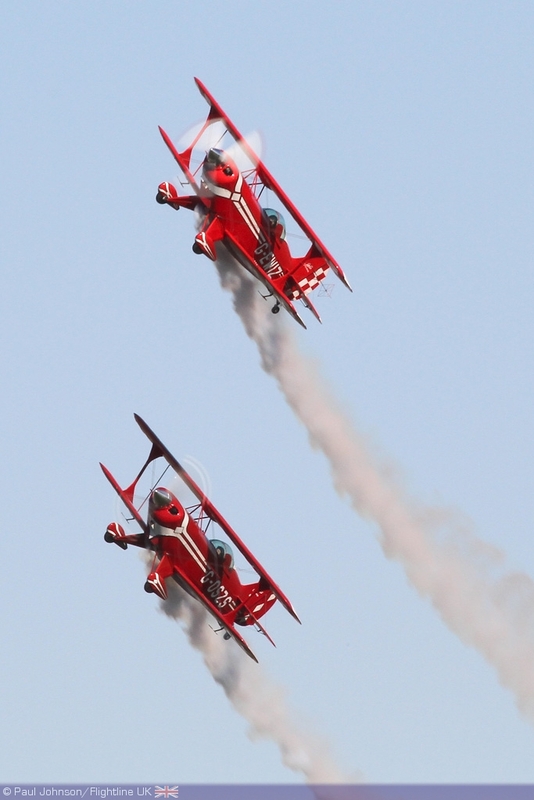 The tribute to great display acts of the 70's and 80's continued with two further acts. 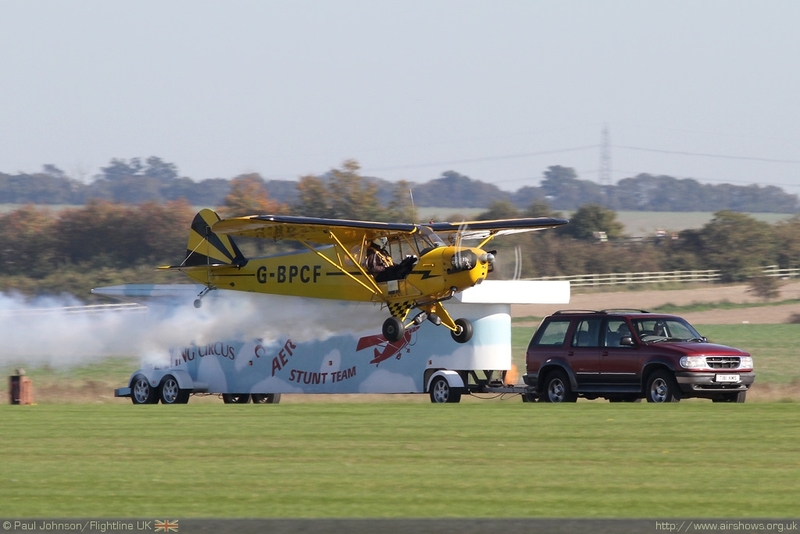 Brendan O'Brien has recreated his famous "Truck-top" landing stunt for the 2010 season with a Piper J3 Cub and it's a breath of fresh air on the circuit to have it back. 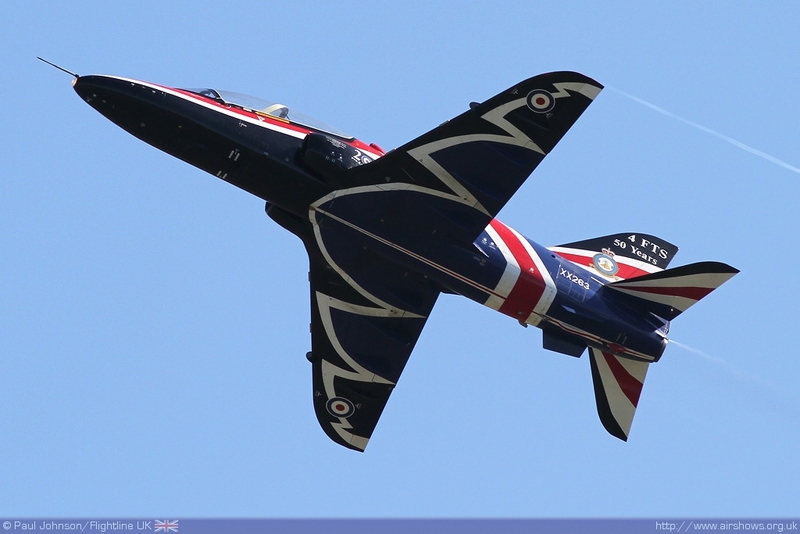 Matthew Hill has also teamed up with Bob Grimstead to form the Fournier RF-4 based Redhawk Duo with is reminiscent of the graceful Unipart Skyhawks display team. 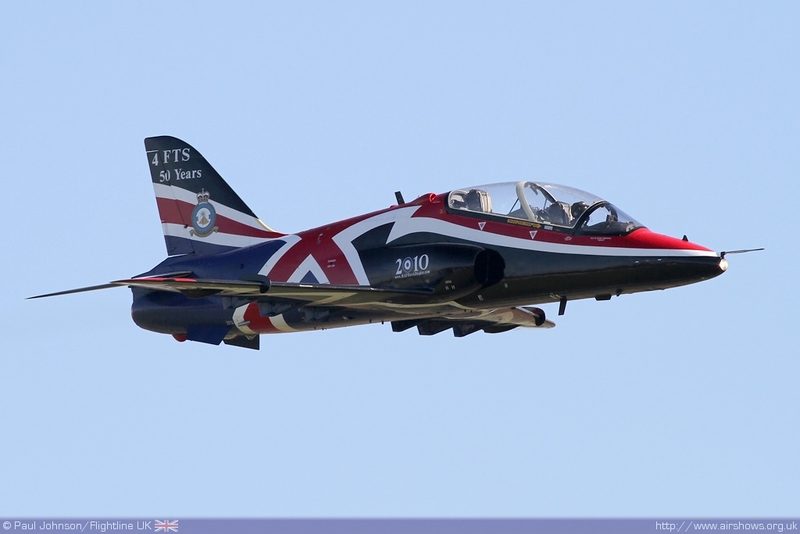 The Royal Air Force also participated in the afternoon's flying displays with final public appearances from the Tucano T1 solo display and the Hawk T1 role demo. 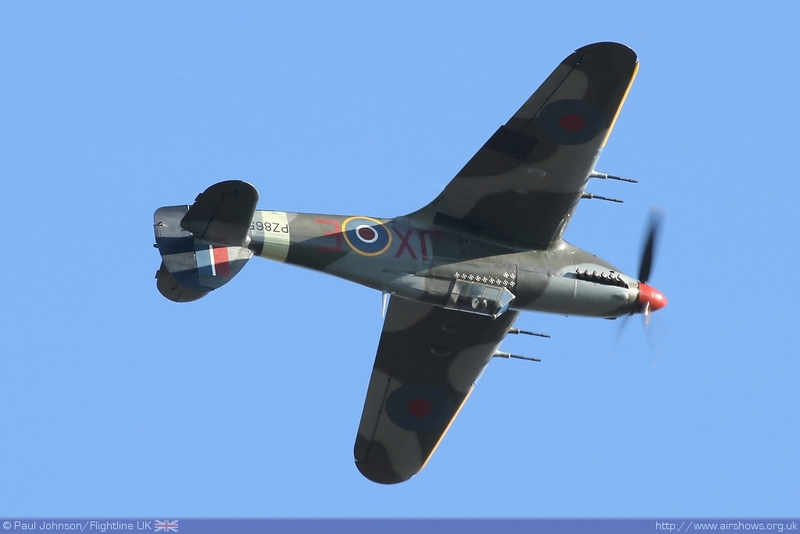 The Battle of Britain Memorial Flight also sent a solo Hurricane IIc display, though it was a touring act and did not land at Duxford. 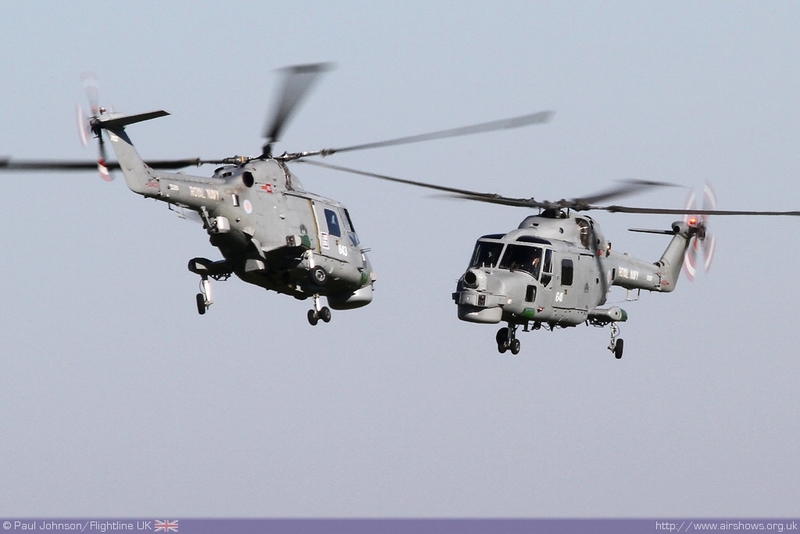 Although it was not an official theme, there was an excellent array of Royal Navy aircraft in the display too. 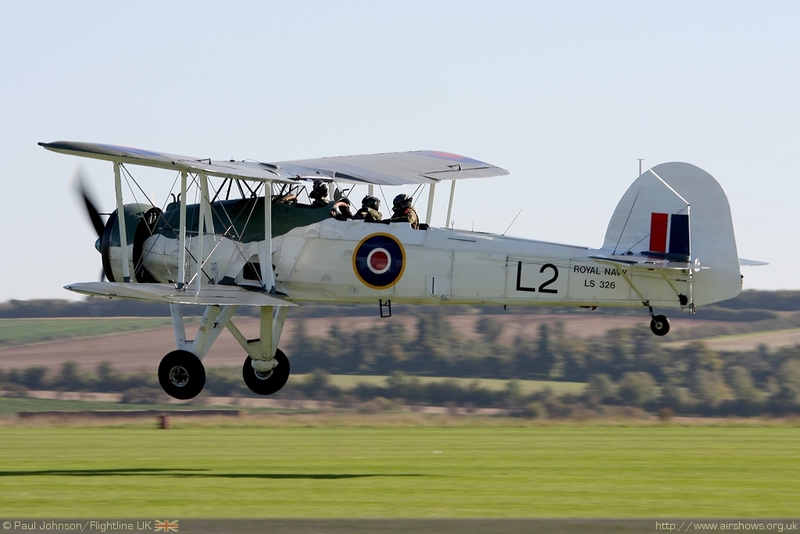 Surprise of the day was the first public appearance away from Yeovilton of the Royal Navy Historic Flight's Fairy Swordfish for many, many years. 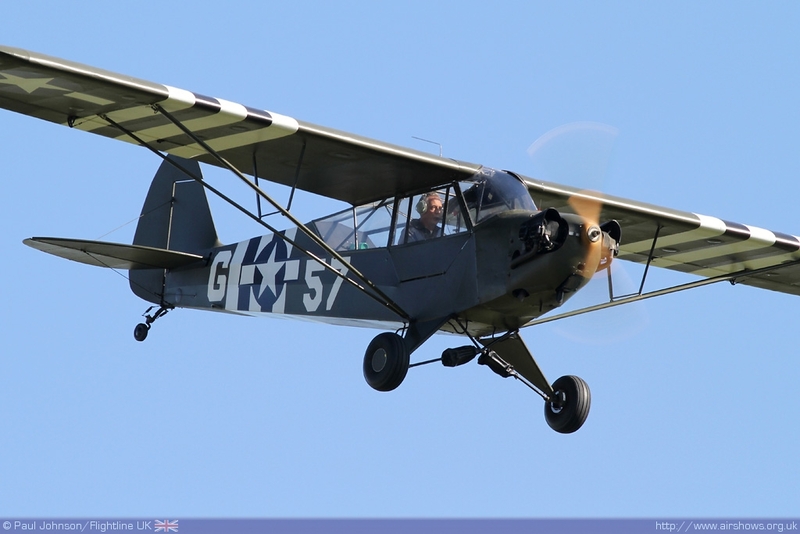 The aircraft has only recently been made airworthy again following a full restoration and some engine niggles which kept the aircraft grounded for some years. 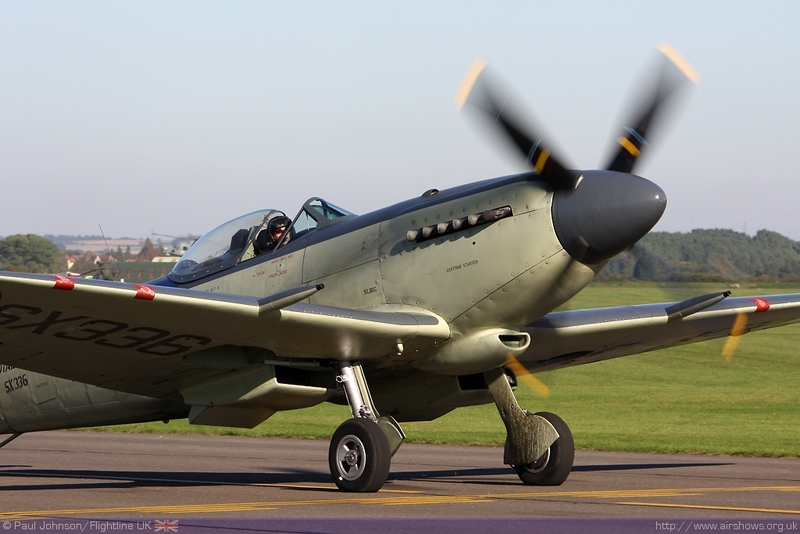 It did not display at Duxford, but arrived at the start of the flying before departing during the flying display. 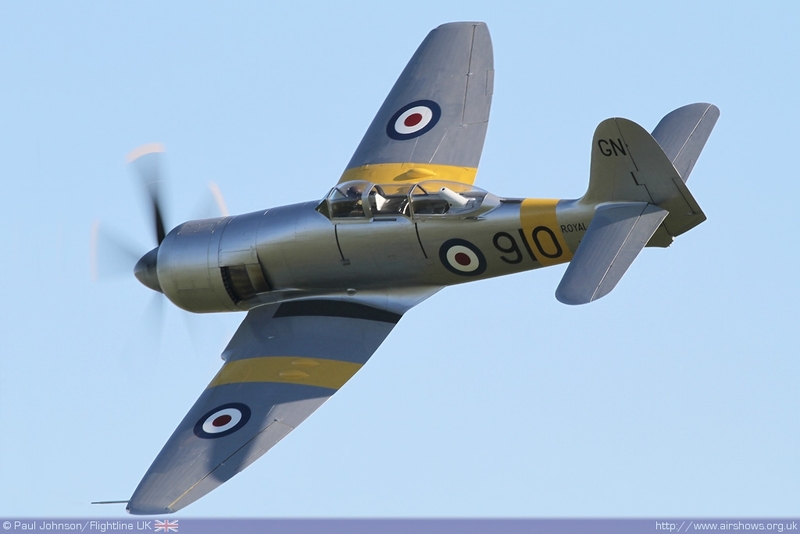 It joined an impressive gaggle of historic Royal Navy types - the TFC's Sea Fury T20, the RN Historic Flight's Sea Hawk and Kennet Aviation's Supermarine Seafire XVII which flew in formation before solo displays by the latter two. The Seafire's appearance was significant too as it was piloted by Anna Walker - could we see an all female Supermarine duo in 2011? 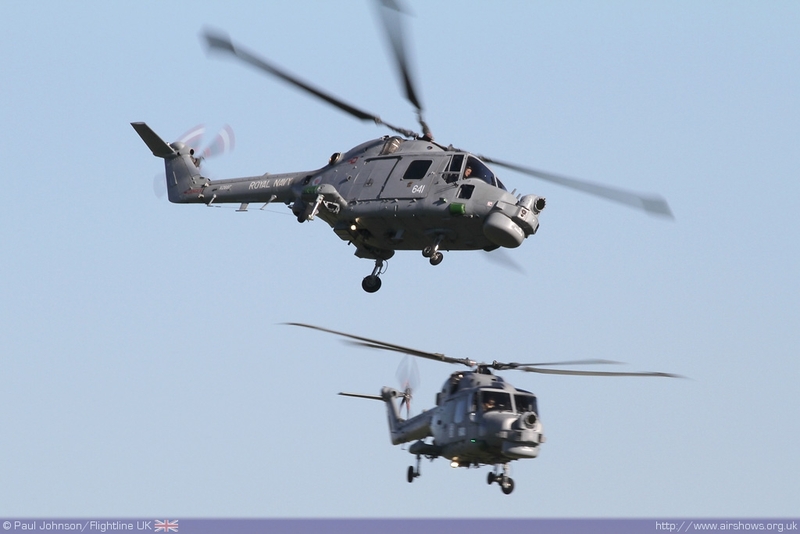 Bringing us up to date were the Black Cats Helicopter Display Team also making their final public appearance of the year. 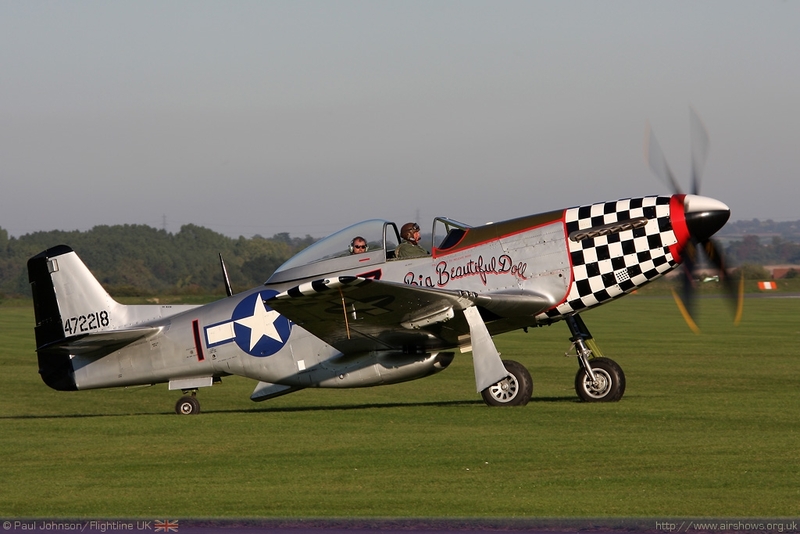 Duxford's Autumn Air Show was a superb way to round off the 2010 UK display season with some very different and refreshing themes. 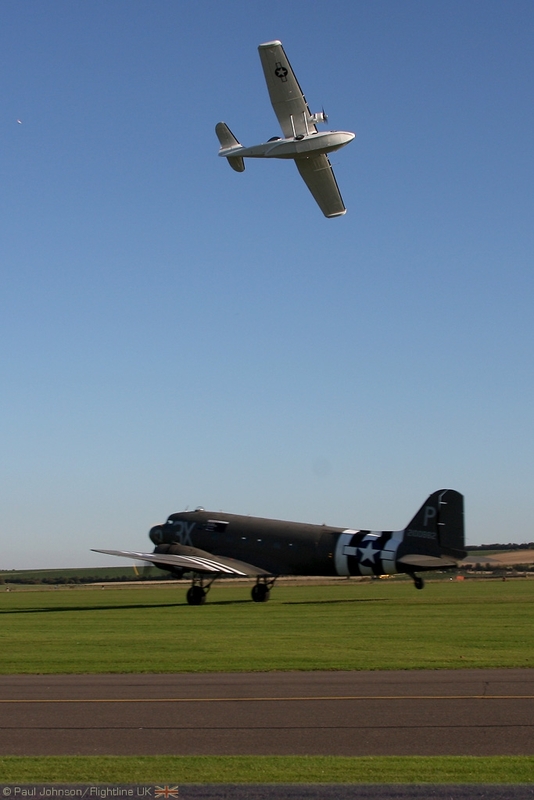 Helped by some stunning early autumn sunshine, the flying was first class as it has been all year at Duxford. 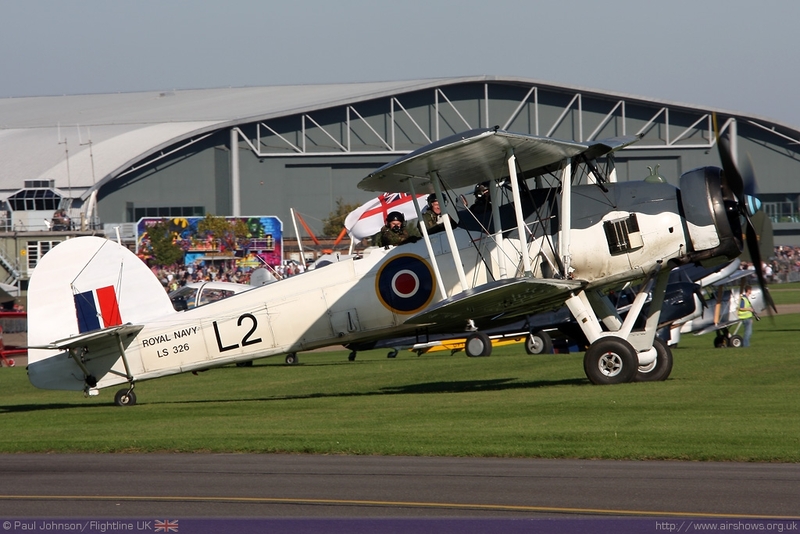 2010 has been a superb year for Duxford's airshows that have provided many of the highlights of the airshow season as a whole. 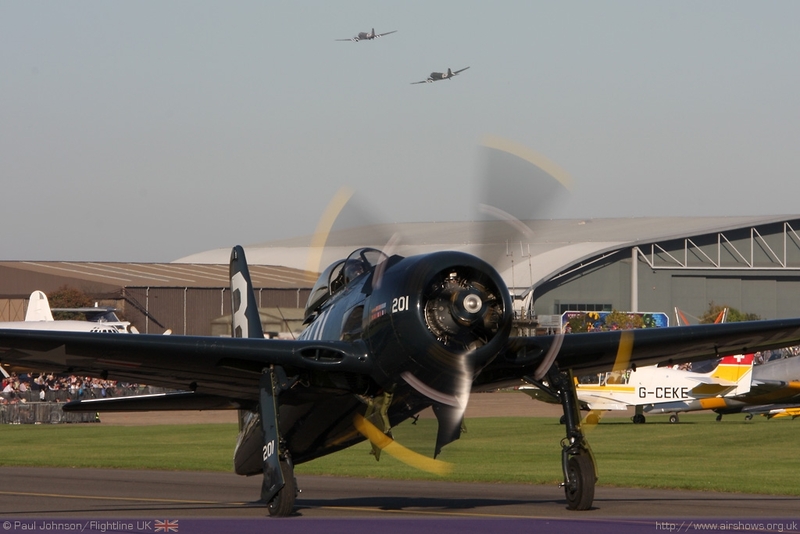 We are really looking forward to what Duxford has to offer in 2011!